University of São Paulo, Ph.D.
University of São Paulo, M.Sc. Astrophysics, Cosmology. Galaxy Clusters, Gravitational Wave Standard Sirens. 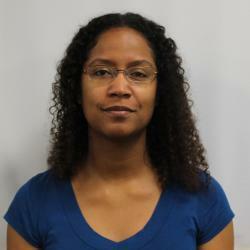 Marcelle Soares-Santos is the Landsman Assistant Professor at Brandeis University. Her research focuses on uncovering the nature of the accelerated expansion of the cosmos. Soares-Santos contributed to the construction of the Dark Energy Camera, one of the largest telescope cameras in the world which she now employs to search for gravitational wave–emitting collisions of neutron stars and black holes. The program aims at establishing gravitational waves as a completely novel method to study cosmic acceleration in the future. It has been successful in detecting the first neutron star collision ever observed, a discovery heralded as the Science breakthrough of the year, in 2017. While preparing for many more discoveries on the gravitational wave front, Soares-Santos also contributes to the effort of measuring the cosmic acceleration using traditional methods such as galaxy clusters and gravitational lensing. Together, traditional and novel methods blaze a trail for a major leap in our understanding of the universe. Soares-Santos research has recently been featured in the PBS documentary TV series Nova Wonders, and has been covered by major news outlets world-wide. Barchi, et al.. "Machine and Deep Learning Applied to Galaxy Morphology - A Complete Classification Catalog." MNRAS arXiv:1901.07047. (2019). Chornock, R., et al.. "Multi-Messenger Astronomy with Extremely Large Telescopes." Astro2020 Decadal Survey arXiv:1903.04629. (2019). Doctor, Z., et al.. "A Search for Optical Emission from Binary Black Hole Merger GW170814 with the Dark Energy Camera." ApJL 873. (2019): 24. Foley, R., et al.. "Gravity and Light: Combining Gravitational Wave and Electromagnetic Observations in the 2020s." Astro2020 Decadal Survey arXiv:1903.04553. (2019). McClintock, T., et al.. "Dark Energy Survey Year 1 results: weak lensing mass calibration of redMaPPer galaxy clusters." MNRAS 482. (2019): 1352. Palmese, A., et al.. "Stellar mass as a galaxy cluster mass proxy: application to the Dark Energy Survey redMaPPer clusters." ApJL arXiv:1903.08813. (2019). Soares-Santos, M., et al.. "First measurement of the Hubble constant from a dark standard siren using the Dark Energy Survey galaxies and the LIGO/Virgo binary-black-hole merger GW170814." ApJL arXiv:1901.01540. (2019). Abbott, T., et al.. "The Dark Energy Survey: Data Release 1." ApJS 239. (2018): 18. Butler, R., et al.. DESGW Optical Follow-up of BBH LIGO-Virgo Events with DECam. Proc. of IAU Symposium. 2018. Herner, K., et al.. Cosmology with Gravitational Waves in DES and LSST. Proc. of IAU Symposium. 2018. Mau, S., et al.. "A faint halo star cluster discovered in the Blanco Imaging of the Southern Sky Survey." AJ arXiv:1812.06318. (2018). Pereira, M. E. S., et al.. "Weak-lensing calibration of a stellar mass-based mass proxy for redMaPPer and Voronoi Tessellation clusters in SDSS Stripe 82." MNRAS 474. 1 (2018): 1361. Scolnic, D., et al.. "How Many Kilonovae Can Be Found in Past, Present, and Future Survey Data Sets?." ApJL 852. (2018): 3. Abbott, B. P., et al.. "A gravitational-wave standard siren measurement of the Hubble constant." Nature 551. (2017): 85. Abbott, B. P., et al.. "Multi-messenger Observations of a Binary Neutron Star Merger." ApJL 848. (2017): 12. Alexander, K. D., et al.. "The Electromagnetic Counterpart of the Binary Neutron Star Merger LIGO/Virgo GW170817. VI. Radio Constraints on a Relativistic Jet and Predictions for Late-time Emission from the Kilonova Ejecta." ApJL 848. (2017): 21. Blanchard, P. K., et al.. "The Electromagnetic Counterpart of the Binary Neutron Star Merger LIGO/Virgo GW170817. VII. Properties of the Host Galaxy and Constraints on the Merger Timescale." ApJL 848. (2017): 22. Chornock, R., et al.. "The Electromagnetic Counterpart of the Binary Neutron Star Merger LIGO/Virgo GW170817. IV. Detection of Near-infrared Signatures of r-process Nucleosynthesis with Gemini-South." ApJL 848. (2017): 19. Cowperthwaite, P. S., et al.. "The Electromagnetic Counterpart of the Binary Neutron Star Merger LIGO/Virgo GW170817. II. UV, Optical, and Near-infrared Light Curves and Comparison to Kilonova Models." ApJL 848. (2017): 17. Fong, W., et al.. "The Electromagnetic Counterpart of the Binary Neutron Star Merger LIGO/Virgo GW170817. VIII. A Comparison to Cosmological Short-duration Gamma-Ray Bursts." ApJL 848. (2017): 23. Guidorzi, C.. "Improved Constraints on H 0 from a Combined Analysis of Gravitational-wave and Electromagnetic Emission from GW170817." ApJL 851. (2017): 36. Margutti, R., et al.. "The Electromagnetic Counterpart of the Binary Neutron Star Merger LIGO/Virgo GW170817. V. Rising X-Ray Emission from an Off-axis Jet." ApJL 848. (2017): 20. Nicholl, M., et al.. "The Electromagnetic Counterpart of the Binary Neutron Star Merger LIGO/Virgo GW170817. III. Optical and UV Spectra of a Blue Kilonova from Fast Polar Ejecta." ApJL 848. (2017): 18. Palmese, A., et al.. "Evidence for Dynamically Driven Formation of the GW170817 Neutron Star Binary in NGC 4993." ApJL 849. (2017): 34. Soares-Santos, M., et al.. "The Electromagnetic Counterpart of the Binary Neutron Star Merger LIGO/Virgo GW170817. I. Discovery of the Optical Counterpart Using the Dark Energy Camera." ApJL 848. (2017): 16.